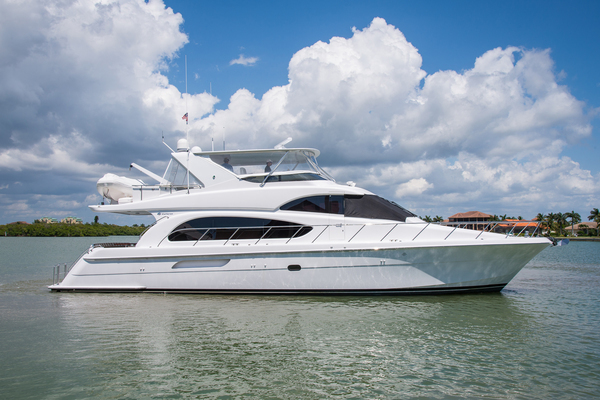 This Hatteras 40 Motor yacht is one of the finest to be offered on the market, she has received a comprehensive refit from 2016 to 2018 on most systems and the addition of Satellite TV, New Refrigeration , Full Bridge and Aft Deck enclosure are just some of the upgrades. With her height at 17' 6" she is compatible with loop height restrictions. The Hatteras 40 Double Cabin is built on a solid fiberglass modified-vee bottom with a shallow keel that runs aft to the props for stability. The standard flybridge and spacious aft sundeck with factory hardtop offers lots of room for owners and guests. The interior layout consists of the owner's stateroom aft with centerline queen bed and en-suite head with separate stall shower aft. A large salon midship offering a pullout bed and Flat Screen TV to starboard, galley forward to starboard with the second forward head with stall shower to port. The second stateroom is in a V berth configuration, you will not be disappointed,a must see !!! Corelle dinnerware set, Glassware, silverware and cutlery. The enclosed bridge provides excellent visibility and additional seating for guests. This Hatteras cruises at 17 kt and has a Max 22 kt. She also performs well at trawler speeds 8-9 kts with excellent fuel economy. Major service to engines preformed May 2016 : All heat exchangers removed and serviced, all impellers changed, all belts replaced, all fluids replaced, major oil hoses replaced, transmission oil pressure hoses replaced, engines cleaned and painted. Onan 8KW generator with 2300 hours. This Hatteras is built with fiberglass tanks for the fuel, water and waste. All the tanks are built centerline in the hull. One of the primary advantages to fiberglass fuel tanks is that they never will need to be replaced. Lady Catherine will not disappoint. The owners plans have changed, this is a great opportunity to own a Hatteras that's been prepared by knowledgeable boat owners and is truly turn key !!! 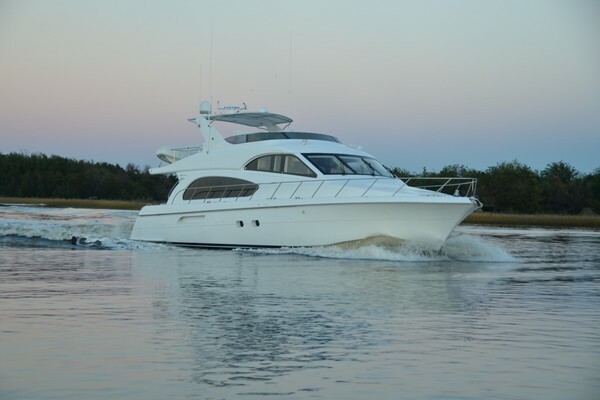 Our Hatteras listing is a great opportunity to purchase a very nice 40' Aft Cabin. 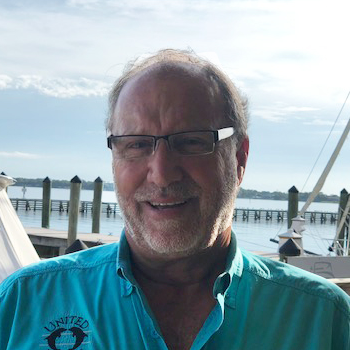 She is currently listed with United Yacht Sales broker Dennis Demole who can answer all questions about the boat for you. Please don't hesitate to reach out to our team of professional yacht brokers to schedule a showing. There are many yachts listed for sale on the MLS each with a different history. We look forward to helping you complete your search for the perfect boat or yacht for sale.